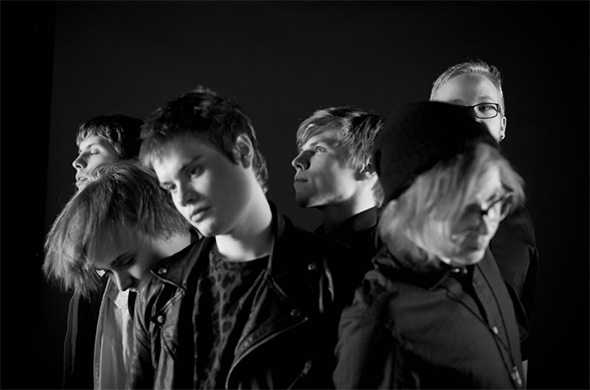 Hailing from Helsinki, Finland indie pop quintet Koria Kitten Riot are set to release their third album ‘Rich Men Poor Men Good Men’. This release is built around the experiences of singer-songwriter Antti Reikko, and is KKR’s first full-band effort. The album asserts testament to Reikko being told to “work f*****g hard, be honest and make ballsy decisions”, and clearly shows what can be done when a remarkable singer-songwriter makes the decision to transmute into a band leading to their most honest and developed recordings yet. The album was recorded in Berlin, and has been mastered by Doug Van Sloun (Bright Eyes, First Aid Kit, and She & Him). The band take song writing influences from artists such as Elliott Smith, Neutral Milk Hotel, and Wilco (think Yankee Hotel Foxtrot), but this does not impede the band’s ability to maintain a level of spontaneity and impulsiveness throughout their songs. As a body of work the content covers a varied subject matter exploring the world through other people’s eyes. This ranges from a song about a mass murderer to a song about an alcoholic violinist, however this never makes the album feel disjointed, instead injecting an element of benign empathy. Standout track ‘Cold Cold Arms’ combines the dreamy sound of synthesiser, pedal steel and hypnotic lyrics with the guitars country-folk twang inflection exemplifying that this is by far the band’s best work yet. The song explores the idea of “losing your magic” and much like the rest of the album it explores the narrative beautifully. This album exudes charm and at times you forget that you’re not listening to a soundtrack of a heart-warming indie film, aided by the bands bijou music videos that appear to have been clipped straight out of a Wes Anderson movie. This comes as no surprise considering that Reikko works in the film industry - he delivers a prodigious amount of dramatic structure into the band’s songs. Lead singer-songwriter Reikko regularly dissects and explains the character and feel of each song via the band’s Facebook page and is clearly interested in sharing his thoughts and emotions with their listeners. The album is a personal and honest piece of work, and Reikko states that he’s “never made any money on music, quite on the contrary, but I’ve gotten to see places most people never see and met lots of special people”, and that’s exactly what Reikko is sharing allowing the listener to become part of the experience in idyllic reverie. 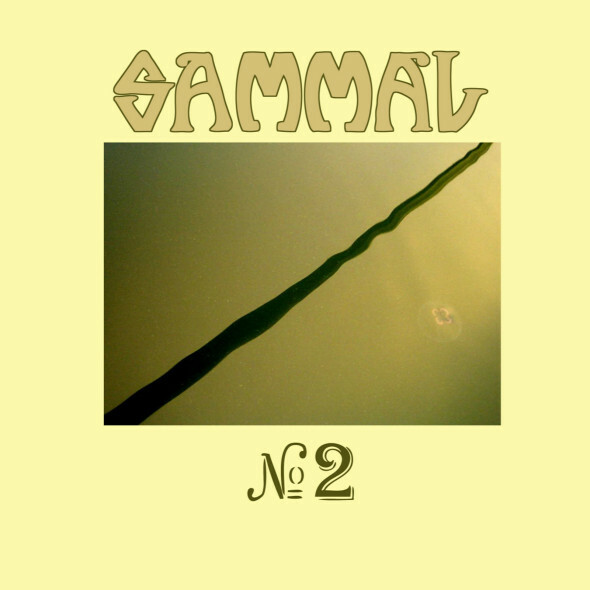 No 2 is Sammal’s follow-up to their critically-acclaimed eponymous debut, released on June 9 through Svart Records. The present-day flagship of Finnish progressive rock sails back in time again to the authentic tones and warm soundscapes of the 1970s on this EP; the band doesn’t show off with unnecessarily technical playing or super-hard song structures, but focuses on forging upbeat atmospheres with strong melodies and fresh vintage sounds. Sammal relies on live playing in the studio, which brings the listener closer to the band: the production breathes so carefree that you can almost touch the notes floating in the air. No 2 is not a companion piece to the debut, nor is it a preview of the second full-length, which will be released via Svart Records next winter. It is a mini-album, which stands on its own. Sammal wanted to clear their closet from older gems, and prepare for a new era with this release. Three of the five songs featured on the EP are old demo songs, which were re-recorded at the same session with a new track “Vankina varisten” and a cover of Aphrodite’s Child’s “Magic Mirror,” translated as “Peilin taikaa,” in the summer of 2013. Sammal was founded in 2004 by guitarist Jura Salmi and vocalist Jan-Erik Kiviniemi. 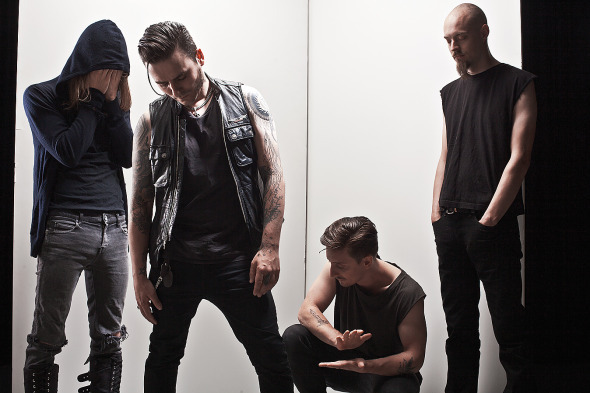 Their eponymous debut was voted as the 9th best Finnish album of 2013 by the critics of Rumba, a renowned Finnish rock and pop magazine. The second vinyl pressing of the album will be released on the same day as the EP, June 9th. No 2 will be released on LP, CD and as a digital download. Finnish post-punk troupe BEASTMILK's highly anticipated debut album poignantly combines haunting clean vocals, darkly shimmering melodies, and a throbbing rhythmic pulse to create an atmospheric yet energetic journey into post-punk's past, present, and definitely its future. Set for international release on December 2nd on CD, LP and digital formats via SVART, this will be many people's introduction to a band who have what it takes to stick around. Evoking the anxious jangle of Jesus & Marcy Chain, an angrier Echo & The Bunnymen, a medicated Killing Joke, the lyrical animosity of PiL and even a lush layering of Bahaus's Peter Murphy - all this, and vastly more, describes the immediately memorable 3D darkness of BEASTMILK.